This device helps you bypass roaming charges and instead use low-cost data for your travels. In today’s connected society, it’s almost crazy to imagine going without internet or voice/text communications. Especially when traveling internationally, roaming is a costly issue that adds up over time. The makers of VoxEra are creating a device to replace data roaming costs with low-cost cellular service to help travelers overcome these issues. To use VoxEra, users only have to insert their SIM card into the device, download the app, and within any Wi-Fi area, they’re good to go. Unlike standard VoIP (voice over IP) services, VoxEra uses a standard GSM network, meaning users can call or text anyone in their contact list without worrying if that contact downloaded the VoxEra app or are connected to Wi-Fi. The device enables users to provide their own SIM card which allows them to have the same phone number and balance as when they left their destination. For the times when users need to make international calls, there’s a feature known as “VoxEra-Reach” which lets users make international calls at reasonable costs whether they’re at home or abroad. If users don’t have an internet connection, VoxEra will send the calls through voice mail. The device works as a message converter. When users receive a call, VoxEra takes the cellular traffic and converts it to a VoIP call. When a text message is sent or received, rather than the traffic going through the user’s primary mobile carrier, it instead goes through the more affordable GigSky link. Additionally, VoxEra is partnered with a service called GigSky which is a world data SIM that provides 3G/4G internet in 90 countries at affordable prices (which are as low as $0.01 MB in Europe, $0.05 MB in the Americas, $0.05 MB for Asia Pacific, and $0.10 MB in the Middle East and Africa). The service is designed to be compatible with any phone or tablet. GigSky is the world’s first global data service designed specifically for travelers. Although they aren’t necessarily as big a brand as the major carriers, the company has grown from two to over 50 people since 2010 and they are headquartered in the US. In order to ensure privacy, all information sent between VoxEra and the connected devices is encrypted. So far, the makers of VoxEra have raised over $65,000 with an estimated shipping date as early as this month. 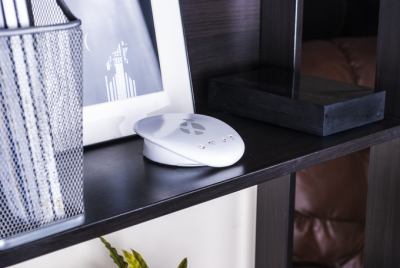 Early bird purchases include a VoxEra device and a lifetime subscription to the service.